HARTFORD, Conn.--(BUSINESS WIRE)-- The Hartford named Susan L. Johnson vice president of Diversity and Inclusion. She is responsible for leading the company's initiatives to hire and retain diverse talent, as well as develop strategies that drive employee engagement and extend the company's contemporary work practices. "At The Hartford, engaging a diverse and inclusive workforce that mirrors the marketplace and local communities is a business imperative," said The Hartford's Chairman, President and CEO Liam E. McGee. "We want the company to be an inclusive place where people can succeed because of their differences, not in spite of them. Susan's appointment demonstrates The Hartford's sustained commitment to attracting, engaging, and retaining the best talent to deliver greater value for shareholders." 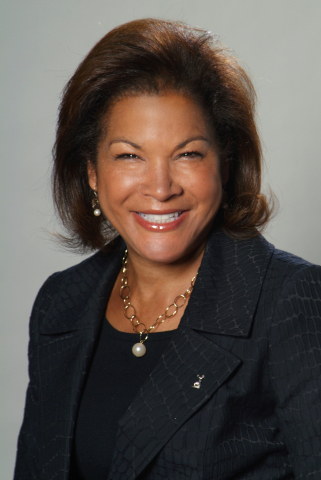 Prior to joining The Hartford, Johnson was vice president of executive succession and diversity strategies at Pitney Bowes. She has held a variety of human resource management positions at Pepsi-Cola and Campbell Soup Company. Johnson's experience also includes participation in local, state and national political campaigns, as well as work on domestic policy and management issues in the public sector. Johnson is a member of the board of trustees at the Greenwich Country Day School. She is also a regional officer for Jack and Jill of America, Inc. and is an active member of The Links, Inc. She is a graduate of Spelman College and received a Master's degree in Industrial and Labor Relations from Cornell University. With more than 200 years of expertise, The Hartford (NYS: HIG) is a leader in property and casualty insurance, group benefits and mutual funds. The company is widely recognized for its service excellence, sustainability practices, trust and integrity. More information on the company and its financial performance is available at www.thehartford.com. Join us on Facebook at www.facebook.com/TheHartford. Follow us on Twitter at www.twitter.com/TheHartford. Some of the statements in this release may be considered forward-looking statements as defined in the Private Securities Litigation Reform Act of 1995. We caution investors that these forward-looking statements are not guarantees of future performance, and actual results may differ materially. Investors should consider the important risks and uncertainties that may cause actual results to differ. These important risks and uncertainties include those discussed in our Quarterly Reports on Form 10-Q, our 2012 Annual Report on Form 10-K and the other filings we make with the Securities and Exchange Commission. We assume no obligation to update this release, which speaks as of the date issued. The article The Hartford Names Susan L. Johnson Vice President Of Diversity And Inclusion originally appeared on Fool.com.